Transfer articulation agreements allow two-year and community college students who have earned an associate degree to transfer these credits into a parallel bachelor degree program at BU with junior status, provided the student meets the expectations of the agreement. These agreements facilitate a seamless process of bachelor degree completion for associate degree holders. BU recognizes two transfer articulation processes for associate degree transfer students: the Statewide Program to Program Articulation Agreements and specific Community/Two-Year Institution Articulation Agreements. 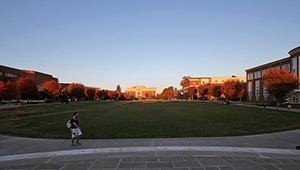 The Statewide Program to Program Articulation Agreements are part of the Statewide College Credit Transfer system, and are transfer agreements among approved Pennsylvania community colleges, two-year colleges and four-year institutions. To see what majors your school and BU are approved to offer through the Statewide Program to Program Articulation Agreements, please click the identified link above. If your school is approved to offer a major in one of these areas and you followed your school’s major curriculum and meet the admission requirements of the parallel major at BU, you will be accepted into the parallel major at BU with junior status. Please speak with your community college advisor/transfer advisor to see if your school is approved to offer your major as part of the statewide agreements. In addition to the Statewide Program to Program Agreements, BU has specific Institution Articulation Agreements with several community/two-year colleges. These agreements are for majors not included in the Statewide Program to Program Articulation Agreements. You can find links to these agreements and their curriculum requirements in the right box on this page. Please remember that these transfer articulations are only for those BU majors that are not part of the Statewide Program to Program Articulations. Looking to See What Courses will Transfer to BU? Find out what courses will transfer to BU from your Community College!